There is nothing better than hitting the open road with your best friend along for an adventure! We are focusing on car travel with dogs as the second post of our holiday travel series. Keep reading for our best tips and tricks to ensure you and your dog are comfortable while on the road! 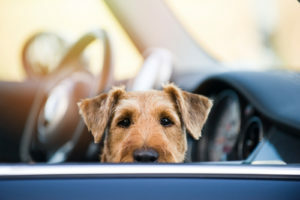 Get your dog prepared for car travel. Unless your dog is a seasoned road tripping partner, you’ll need to make sure they are comfortable being in a car for long periods of time. Pro Tip 1 – Feed your dog meals in the car before the trip. Food creates a positive atmosphere for any dog. Feeding them a few meals in the car before your big journey will show them the car is a good place to be. Pro Tip 2 – Take short trips to give your dog a taste for the big trip. Take them on your next errand, or just around the block. Let them get used to the smells, movements and sounds of your car. Luckily for dog parents, there are tons of pet friendly places to stay that aren’t just your friend’s house. 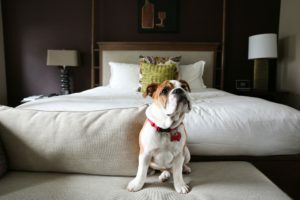 Kimpton Hotels, for example, not only welcomes four legged family members, they also don’t charge extra for pets. AirBnB offers more “homey” stays for you and your pup. AirBnB even has a filter that will show all pet friendly places. Carry multiple forms of identification. The last thing you want to happen on your trip is for your pup to get lost. Carry different forms of ID to ensure your pet can always make it back to you in case of any emergency. If you haven’t already, get your dog microchipped, as well as ensure their proof of rabies shot and ID tags are securely attached to their collar. 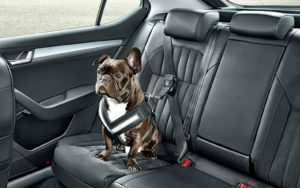 Secure your dog in the car. From our research, using crates within the car is the safest form of car travel with dogs. However, great alternatives could be seat belts or a car barrier. Being cooped up in a car for multiple hours isn’t fun for anyone, let alone your pup! One key to successful car travel with dogs is to take frequent breaks so they can stretch their legs. 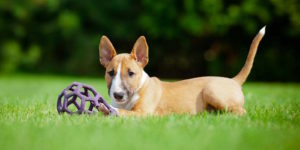 Less frequent longer breaks to get extra energy out like playing fetch are also important! Before you travel, Google a few areas you’ll be driving through to see if you can find a dog park nearby. Here is a list of all the dog parks off of the I-95 interstate on the East Coast! What’s a road trip without the tunes? We found this playlist that includes the best dog songs of all time. For more on our holiday travel series see this post on taking dogs on Amtrak.